Located in Thyolo District, our Kogoya Hope Center serves a ten village area and was Miqlat's first permanent ministry structure in Malawi. Thyolo is well-known for its vast tea plantations and their beautiful bright green fields, as well as being the home district of two of Malawi’s recent Presidents. Though the colonial tea fields brought wealth to their owners and the Presidents brought new roads and even a new university to the area, Thyolo remains one of the least developed districts of the country and is in particular need of help in the arena of education. Kogoya Hope Center celebrated its 10 year anniversary in 2016. Only one of the original staff members remains with us – Janet, one of our cooking crew. However, over its 10 year life span, this Center has unearthed many hidden jewels: Lucius, the gardener turned facilitator and his friend Samson, temporary cook also turned facilitator. And, not to be forgotten is Lemus, the guard turned head chef because when he was asked to temporarily fill in at the kitchen, he proved himself an accomplished chef and capable leader. For Samson, the opportunity to show his heart for God's work came when he was filling in for our Thuchila Head Chef during an illness in 2011. 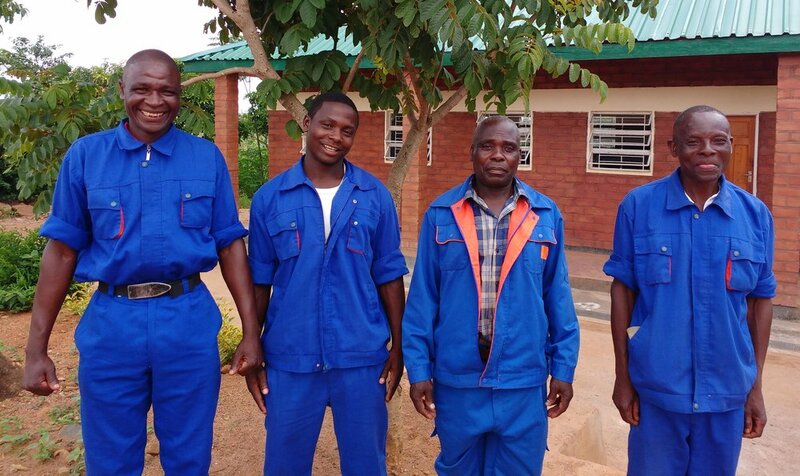 Throughout those 6 months, he “worked with his whole mind as if he was permanent,” so his boss, Director Victor Mkolongo, brought him to Kogoya to interview for an open facilitator position. Despite having a different schooling background than the rest of the facilitators, Samson came on board, quickly establishing a strong rapport with the children and demonstrating he was eagerly willing to learn and grow. “I had never taught before coming to Miqlat,” he says, “so at first I was ashamed to preach, to teach in discipleship. But I have grown. Now it is my favorite thing, and because of my growth at Miqlat I am now the administrator at our church and I even preach if the pastor is not there.” He enjoys playing soccer and games with the kids and especially counseling them from scripture, believing that if you can teach them of God’s love when they are still small, they will grow into great men and women, knowing their foundation. The chefs at each Hope Center are responsible for preparing and serving lunch to feed 200 students 6 out of 7 days a week. They use large innovative cooking tools called Rocket Stoves which are able to take a small fuel source of burning wood and heat a very large pot. Now that the school has opened at Kogoya, Lemus, our head cook, along with his stalwart assistants, Grace, and George, are responsible for cooking porridge for breakfast as well. Without these dependable folks, we could not function! Each Hope Center is staffed with a full set of guards responsible for taking care of the property in the evening and dark of night hours while the center is typically empty. Their role is critical in keeping our centers beautiful and safe for the children. As our guards are also members of the local community, they can often be found chatting with the facilitators or playing football with the kids while their presence as stern guarding figures is not needed.